As anyone who has ever bought or sold a home or property knows, real estate transactions are a complex and involved process. Inspections, price negotiations, loans, appraisals, etc all need to be performed, and the costs involved with the purchase or sale of any property can make each of these steps more stressful and complicated. 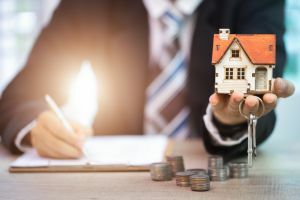 This is why both parties to any real estate transaction often retain the counsel of an experienced real estate attorney who can keep them informed and legally and financially protected throughout the process. However, the good news is that once all of these steps have been taken, all that remains to be done is actually close on the property purchase or sale itself. While certainly much less complicated than the initial parts of the real estate process, it is still highly recommended that you retain the counsel of an experienced real estate attorney during the closing of any home or property transaction. 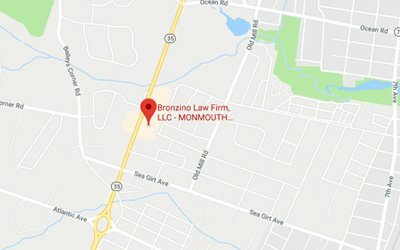 At the Bronzino Law Firm, we have extensive experience helping clients to confidently and safely close on real estate purchases and sales in towns across Ocean and Monmouth County, including Sea Girt, Asbury Park, Brick, Jackson, Neptune, Toms River, Point Pleasant, Manasquan, Spring Lake, Brielle, Wall, and the surrounding communities. Attorney Peter J. Bronzino takes great pride in providing highly effective and attentive legal counsel to each of his clients, and is ready to work closely with you on any real estate purchase or sale, and ensure that your financial rights and future are protected. Call us today through either our Brick office or our Sea Girt office at (732) 812-3102 to discuss your pending real estate transaction and how we can help you in a free and confidential consultation. When closing on the purchase or sale of a residential property in New Jersey, both parties and their real estate attorney will review and sign a variety of documents, many of which are established before the closing date itself. The seller’s real estate attorney will prepare the conveyance documents, also refereed to as the title/deed. A final cash payment will be calculated to reflect things such as mortgage closing costs, property taxes, and outstanding utility payments. A last walk-through inspection will be performed (usually the day of the closing) in order to make sure that the property is in the same condition it was when the sale began. The buyer, seller, and their respective attorneys will meet at the “settlement table”, and review and sign many different documents including a HUD-1 and other loan documents. The buyer will pay any remaining funds on their downpayment. The buyer’s attorney or the title company, will record the deed and mortgage with the county clerk. The buyer will be given the keys to the property, and unless specific terms within the contract state otherwise, will take ownership of the property. While somewhat straightforward on paper, it is always a good idea to retain the counsel of an experienced Jackson real estate attorney any time you are closing on the purchase or sale of a residential property in order to ensure that the process goes smoothly, and that if there are any issues, you are aware of them, and can take the appropriate action which best protects your financial rights and interests. While residential properties are often bought and sold between individuals, commercial real estate transactions more often involve businesses and other “entities”, making them a much more complex and delicate process. There is a great deal of potential liability involved with the purchase or sale of a commercial property, as well as laws and procedures specific to commercial real estate transactions, including potential land use and zoning issues as well as a variety of tax considerations. For these reasons, it is especially important to retain the counsel of an experienced real estate attorney who understands the State and Federal regulations, requirements, and impacts a commercial property purchase or sale can, and will, involve. 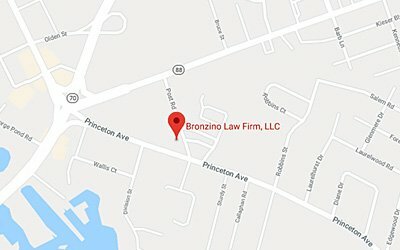 At the Bronzino Law Firm, we have extensive experience helping our clients to navigate, and ultimately close, real estate transactions of all kinds in towns across Ocean and Monmouth County, including Wall, Brick, Jackson, Sea Girt, Asbury Park, Neptune, Toms River, Point Pleasant, Manasquan, Spring Lake, Brielle, and more. 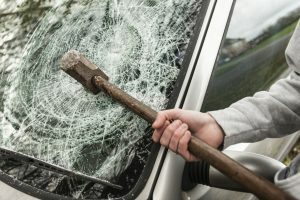 Whether you are buying or selling a residential property or a commericial property, Attorney Peter J. Bronzino is ready to provide you with the knowledgeable, effective, and highly attentive legal service that you need and deserve in matters so important to your long-term financial stability and security. To speak with Peter Bronzino and our legal team today regarding any kind of real estate transaction, and how exactly we can help you with the purchase or sale of your home or commercial property, please contact us online, or through either our Brick office or our Sea Girt office at (732) 812-3102.